The issue of women wearing headcoverings has been argued ad nauseam in the Church probably since the Church was established. I believe the most important verse in this entire conversation by the Apostle Paul in 1 Corinthians 11 is this one: “But I would have you know, that he head of every man is Christ; and the head of the woman is the man; and the head of Christ is God” (1 Corinthians 11:2). We all know what this means and should walk in obedience to this clear command. Our husbands are head over us. They are our HEAD covering! If they want us to wear long hair, wear long hair. If they want us to wear a veil over our head, we will wear a veil over our head. If they don’t want us to wear one, then we won’t. It’s their decision since they answer to Christ (even if they are unbelievers). I can tell you that after studying the commentaries of old, they weren’t even sure what this passage meant concerning women wearing a veil over their heads and this is the issue I will discuss with you. Some believe the veil is a woman’s hair and others believe it is a veil. Near the end of this discussion concerning headcoverings by Paul, he makes this statement: But if a woman have long hair, it is a glory to her: for her hair is given her for a covering (1 Corinthians 11:15). God isn’t into transgenderism. We can be sure of that! We are told that the effeminate will not inherit the kingdom of God (1 Corinthians 6:9). Effeminate means to make womanish; to unman; to weak. In 1 Corinthians 11, there is a clear distinction in which the way men and women wear their hair. Our hair should be feminine and should be clearly distinguished from the way men wear their hair. It seems more and more women today are getting haircuts that look just like men and it is in rebellion to God’s design for them. I know some women can’t grow long hair and some women’s husbands like their hair short. It still doesn’t mean that you can’t make it look soft and feminine. This commentary believed that long hair IS a woman’s covering. Many women grow their hair long and keep it this way because of this verse. I would venture to say that most men like long hair more than short hair. It makes a woman look like a woman and very short hair makes a man look masculine. Cambridge Bible Commentary had this to say: “The true glory of every creature of God is to fulfill the law of its being. Whatever helps woman to discharge the duties of modesty and submissiveness assigned to her by God is a glory to her.” I believe this to be the main point of the entire discussion: God has called women to be modest and submissive to their husbands because they are our head covering. This pleases the Lord and the highest form of worship is living according to the Lord’s will. “What is this covering that Paul is saying a man should not wear but a woman should? In answering this unspoken question, Paul asks, ‘Is it proper for a woman to pray to God with her head uncovered?’ (verse 13). He immediately answers his own question: ‘Does not even nature itself teach you that if a man has long hair, it is a dishonor to him? But if a woman has long hair, it is a glory to her; for her hair is given to her for a covering’ (verses 14-15). Now, we come to the verse at the end of the discussion by Paul: But if any man seem to be contentious, we have no such custom, neither the churches of God (1 Corinthians 11:16). Again, the commentaries are not all in agreement with this statement. 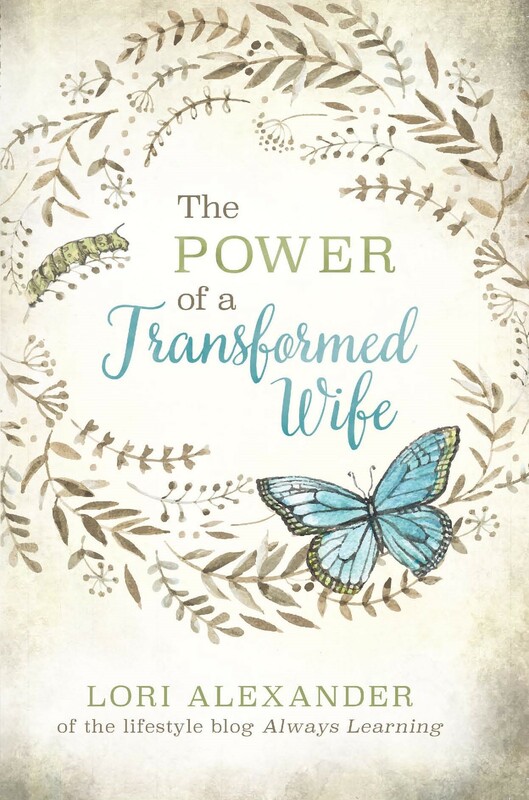 I believe that what God wanted us to clearly understand, He made very clear: men are the head over their wives and wives are to be in subjection to their husbands. This has been stated multiple times in the Word. On this issue of headcovering, it shouldn’t cause contentions among us. Obey your husband. It’s that simple! We know from Gill’s Commentary that he believes long hair is a woman’s covering but his main thought from this verse is that there should be no contentions about it. It shouldn’t divide churches, nor friendships, not anything. There isn’t one male godly preacher or teacher of the Word (not even Michael Pearl who takes the Bible very literally and doesn’t allow culture or feminism to frame his teachings) that I listen to and trust who teaches women must wear a veil in the church. I will repeat one phrase in this commentary: “We have no such custom of contending for these little frivolous things.” I believe this sums it up. Yes, the man is head over his wife (her HEAD covering) and she is to live in submission to him. This is not frivolous since it’s made clear, as I have stated, but the issue of long hair and wearing a veil falls in the category of “frivolous” things (of little importance) so decide for yourselves with your husband’s approval what is right and proper and do it but please don’t force your personal convictions about this upon others and cause contentions over it. Lack of Education Makes Bad Mothers? Thanks for your thoughts. I was raised with wearing a head covering but when I got older I really wondered if it was scriptural. Yes I’ve seen lots of women that wear a head covering that aren’t submissive to their husbands. Here are some of my thoughts as I sorted out if it was scriptural or not. V5 if a women prayers or prophesied with her head uncovered dishonoureth her head (man/husband/father) v7 man indeed ought not to cover his head. If the covering is meaning a man/leader in the home what is the woman to do when she isn’t around he male figure and needs protection. Also if the covering is hair is the man suppose to shave his head because he is covered if he lets it grow. v10 for this cause ought the woman to have power ON her head (head covering) because of the angels. Angels cannot see the heart but when they see a women is covered that is a sign to them. V15b for her hair is given to her for a covering. Her hair is given to her for her to cover. V16 this verse I feel is that we rn’t just to focus on this and make war among ourselves but most of all open to what God is calling you to. I have many friends that have started to follow Jesus and they with the study of Scripture came to the conclusion that a head covering is scriptural. The circle picture is a wonderful way to visualize a woman’s place. Thank you for that! Thanks for this post… it’s another thought-provoking one. Something I heard once, and maybe someone can clarify, is that the word “covering” (“for her hair is given to her for a covering”) is different than the other “coverings” mentioned in this passage. I guess that would side more with there being an actual covering in addition to hair? The assembly we attend does for the most part practice the head covering (as in hat or veil), but it’s good to know why we do what we do…not just go along with something without knowing why. Thanks as always for your posts, Mrs. Lori. I always enjoy learning and being challenged by your blog. I always have an issue with the thought that long hair is a head covering. I know of several African nations where the women cannot grow their hair long. People have different terminal lengths of hair and these people have very short hair. This is the way God created them so they are not in disobedience to God by wearing short hair. Some African women (and many black American women) actually add hair to give them length that they cannot achieve on their own. Also, I always wonder why women are so set against covering. I never hear men question taking off their hats to pray as much as I hear women struggling with the idea of putting one on. I have been studying this passage for several months and I am still not completely sure what it means. But I am entirely convicted that it was a literal, artificial veil-type covering that Paul was telling the Corinthian women to wear, and that’s what all the churches were in fact doing. Some in the sophisticated Corinthian church did not want to do it, were arguing about it ( that sounds familiar 🤔), resisting. I really am not completely sure if it still applies today, or when and how to follow this command. But anyone who does a simple reading of the text usually comes away thinking, “Sounds like he wants these women to cover their heads!” And indeed the simpler Christians in other parts of the world take this passage literally and follow it until influenced by the West. Finally, I’m not sure the feminists are going to take us seriously unless we do practice veiling. It looks too much like cherry picking. Just my thoughts as I am still thinking about this issue. Thanks for the article. I do believe it should still be practiced today. As to what type, its something you should ask your husband as to what he likes to see you in. 1 Corinthians 11 is sandwiched in between two passages that refer to the Lord supper and how it is to be conducted. If chapter 10 and 12 are relevant for today, then how can chapter 11 not be for today? It would be cherry picking. I also believe that 1 Corinhians 11v16, Paul is saying that if you want to be contemtious about this, we have no such custom ( of not covering the head i believe, with a seperate covering) neither does any other church of God. Where as a lot of people see it the other way around. They think Paul is saying they dont practice covering with a seperate veil. I have a quick question as I’ve been pondering this. If the Bible states our husband is our head covering and also states that any man who prays or prophesies with an uncovered head is dishonored. How exactly does a man cover his head if it isn’t a physical covering? Is it perhaps letting his wife rule the house? I am actually quite dissapointed with this post. I dont cover, but have in the past and agree that my husband is my head. But i do not agree that there was confusion as to the meaning of the passage amongst old commentators. Maybe the ones you shared. But there were and still are chuurch leaders who believed in the practice of headcovering. Different greek words were used in the text in regards to headcovering. I also took the liberty of looking up other references to head covering in the bible. And if long hair is a covering, then it makes some of the other passages look totally ridiculous. Esther 6 v 12. Does this mean that as Haman ran from his house, his hair grew long? No, it means he placed a cloth covering over his head as he ran. Also, in 1 Corinthians 11v5,6. Ill look at it from the perspective that long hair is a covering. A woman is praying or prophesying in the church without long hair. ( her covering) so verse 5 states its as if she were shorn. Um, if she is praying or prophesying without long hair then one would conclude she is shorn. Not ‘like or as if ‘ she were shorn. Verse 6 states that if she is not covered, ( long hair) then she should be shorn. Ummmm, once again, if she doesnt have long hair, hen she is already shorn. Assuming long hair is a covering, it makes those two verses look stupid. However, if the covering is made of cloth, it makes sense. There were also instructions to the priests in the old testament about removing a womans covering and shaving her head. If you remove a womans long hair, what is left? Nothing. Her head is bald. So how can it be shaved? If you remove a cloth covering, she still has hair, and therefore it can be shaved. I used to be in the ‘long hair is a covering camp’ until i looked deeper and found otherwise. I do not cover anymore as it is a very personal choice and one that should be taken seriously. It requires great humbleness and living a life above reproach. I have a long way to go before i am in that place. And my husbamd knows it and asked me to remove it. So i did. But i still have them and would like to start wearing them again. But i need to change a lot of my attitude before that can happen. Otherwise i am not displaying submission and therefore rendering the point of the cloth covering void. I will also include a short you tube clip explaining the passage further. I will also include this link, which includes prominemt church leaders in he reformation period that believed in the practice. And this one, which explores some of church history on the subject. I agree with this. I was planning on posting something similar to this, as some of these verses look absolutely ridiculous when we replace hair for the covering. Also most women covered before the 1960’s. If you look at historical photos the majority of women wore a covering. This was not just cultural. How could so many be wrong for sooooo long. I started covering for worship back in 1998. Then I stopped for 9 years because we went to a church that didn’t wear them. I never felt comfortable. The Lord kept convicting me. Scripture was so clear. I showed my husband and he totally agreed. He is a believer but he is not super conservative. He read it the first time and could see it. He likes it and he loves what it stands for. Sometime after I started covering again I came across Jeremy Gardiners Headcovering website. Lots of good information there. I hope dear AnonM that you will consider covering again. Of course with your husbands permission. None of us are perfect. I find the HC is a huge reminder to behave as a more submitted woman with a meek and quiet spirit. I plan on wearing it more often, not just for worship. Something that held me back is that I didn’t want to look Amish or plain. I wear wide headbands, at least 4 in. Most of mine are 7 to nine in. I have a lot of lace ones, and some others too. My husband really likes this style. I sometimes make them out of scarves. I love the soft light materials. Thanks Diane. I love the http://www.headcoveringmovement.com website too! I’ve already commented on this a couple of times, 😁 but I just wanted to mention that I followed the link to Michael Pearl’s answer about the head covering… He had some good points. Just thinking out loud here… 🙂 When he mentioned the huuuge head coverings that the Jewish used, is it to be expected that that is what the Corinthians would have used as well (if indeed it was an actual veil, not just hair)? Or is that again a cultural thing and the exact type of covering is irrelevant? Thanks again for the post, Mrs. Lori. I would also ask, if there are plenty of church leaders that do not agree with headcovering as being seperate from the hair, please let me know who they are so i can look them up. Just to be fair. Also, Michael Pearl which is linked in the body of the post. I also disagree that the passage says that our husband is our head covering. Yes, he is our head and we are the glory of man. But it is our long hair that is a natural covering. So for most of the passage he is refering to headship order and long hair being our natural covering. But toward the end he is reffering to a seperate, artificial covering. As the greek terminology is different to the rest of the passage. To say that our husband is our head ‘covering’ i think is a gross misinterpretation. There’s no need to become contentious over this issue! Yes, hold your convictions but allow room for others who hold convictions that are not yours. Thank you. Not trying to be contentious. I am expressing my opinion. But i disagree with the long hair theory. Yes, you have made that abundantly clear. I did copy some quotations of godly preachers on this topic at the bottom of this page that agree with me, namely, that these verses are mostly concerning a husband being the head over his wife, not about a physical covering. Also, earnest question here – how do we know which commentaries are accurate in their assessment of the Word? There are some out there that contradict each other. My church believes that a woman is to have long hair (“long” is open to interpretation – some never cut their hair at all, others have it just past their shoulders) and that their hair is their covering. But it’s really interesting to read others points of view. I can’t agree with you on this one, Lori! I do believe in headcovering, and have done so for five years now. But I do appreciate your taking the passage seriously and posting about it, rather than using the good old “that was for this day, so now we can ignore it!” approach. Agree to disagree! Love you, love the blog! Keep writing! I’m so excited to find this blog because it’s so hard to find Titus 2 women online. Most blogs are by very young women with no experience or old women who won’t take the Bible literally. I’m younger and don’t want to seem disrespectful or contentious but I would like to address address this quote from Piper as I recently read his article. What he concludes in the article doesn’t make sense because if we use OUR culture as a guide in what to wear to denote gender who knows where that will lead! Wouldn’t it be better to retain an older, holier culture in our Christian mode of dress? If we only go back to our Great Grandmother’s culture we’d be covering out heads in church! The wicked sexual revolution and rise of feminism is when we saw the head-covering disappear in a America. I was disappointed that you choose to promote the more modern church leaders who don’t understand the difference between hair and veils. Hi, all…God’s law is written on our hearts. We KNOW inside what is right or what is wrong. He was speaking about not having the custom of contention. Paul did not write all of that to say we have no custom to cover. That would make Paul a double minded man which surely is he was not. When we pray we are going into the presence of God where the angels stand before Him. If we don’t pray in the order that the Lord says we are standing in the judgement of the Lord. With the Lord there is a order to follow.. Of course in ignorance the Lord is merciful, but when you learn the truth and do not act accordingly then you are setting yourself up for trouble. (I’m making a general statement, not calling anyone out ). We have to remember that this walk is so narrow. Moses and all his righteousness could not enter into the promised land because he disobeyed the Lord by striking the rock instead of speaking to the rock as the Lord said. Uzziah got struck by the Lord just for sticking his hand to save the ark from falling. God was serious when he said only the priest were allowed to touch it. We have to remain sober minded to the scripture. What makes us think that we are any better? Be careful of Commentaries because if it’s going against the scripture then that’s a problem. Ask the Lord for understanding and he will give it to you if you really desire the truth. Remember Noah, only eight souls were saved. This walk is very narrow and God requires Holiness still, weather that be in head coverings, submissions, how we speak etc (I’m working on it AnonM😊) We must walk accordingly to the scriptures and do what thus saith the Lord. Amen? This has been an interesting conversation and I appreciate the ladies being calm about this discussion. I’ve been covering for many years now. Most of the ladies I know who cover(mostly conservative Mennonite) are not rebellious but have calm gentle spirits and truly respect their husbands. I’m sure the Pearls have also met such ladies too. Anyway, I’m the only one who covers at my church and though its uncomfortable, it’s an opportunity to explain why I do it when asked. One of your posts recommended reading the old Bible commentators so I chose one that you quote often, John Gill. He says 1 Corinthians 11 is about veiling versus unveiling, the conclusion being that women should be veiled. The main point of your post, (our husbands being our HEADs and we must wear on ours what THEY require) is so, so, good. I don’t want to seem like I disagree with that. I wish more Titus 2 women would be making that clear in their teaching.